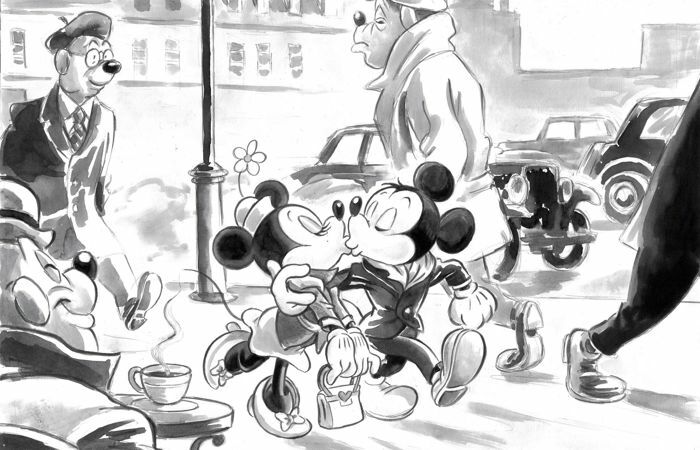 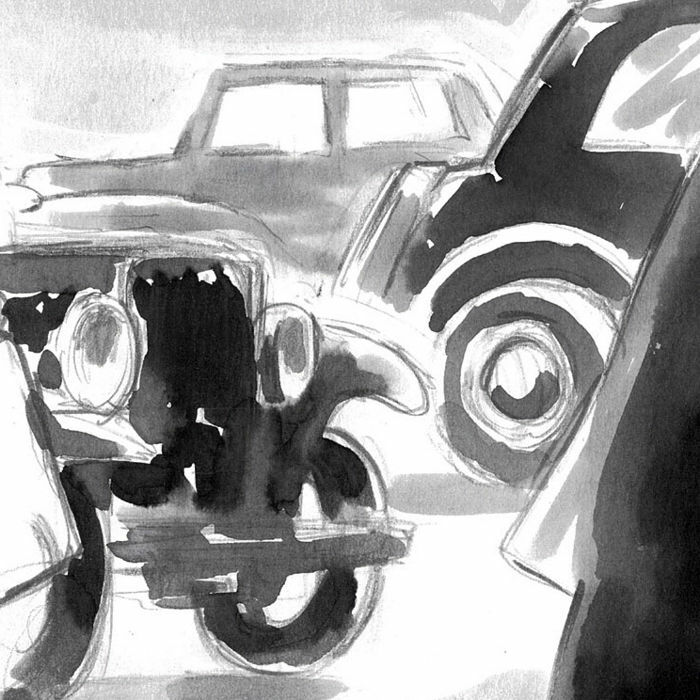 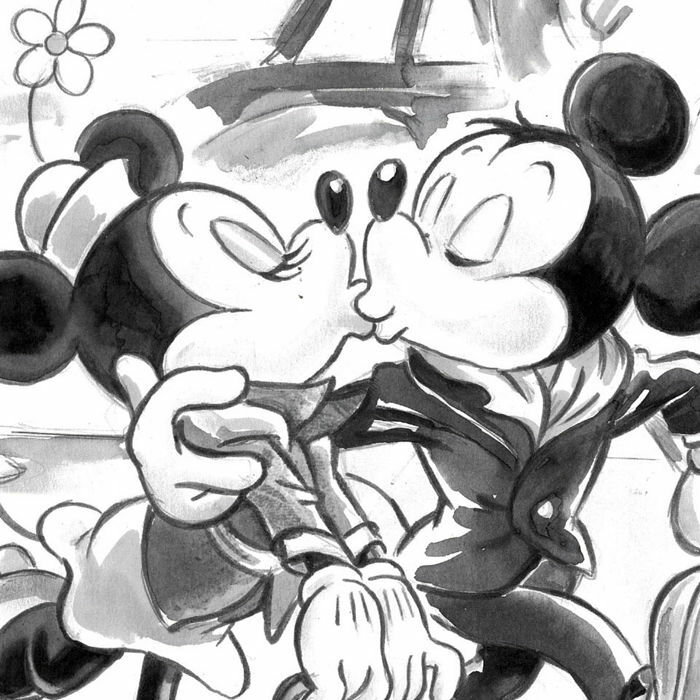 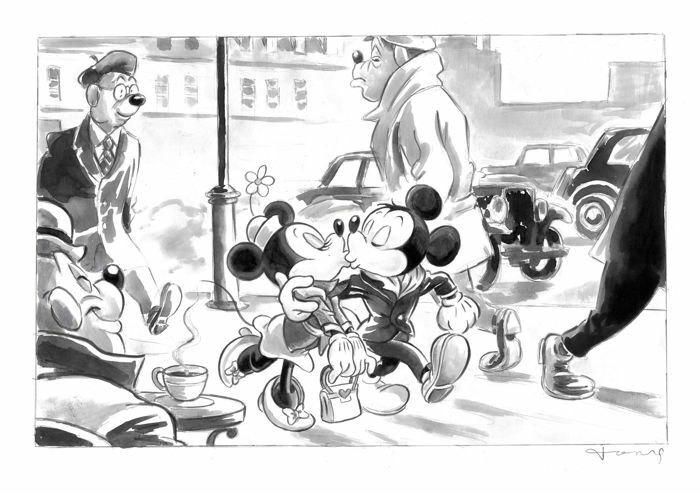 This is an absolutely heartwarming original drawing of Mickey & Minnie Mouse kissing in the middle of Paris. 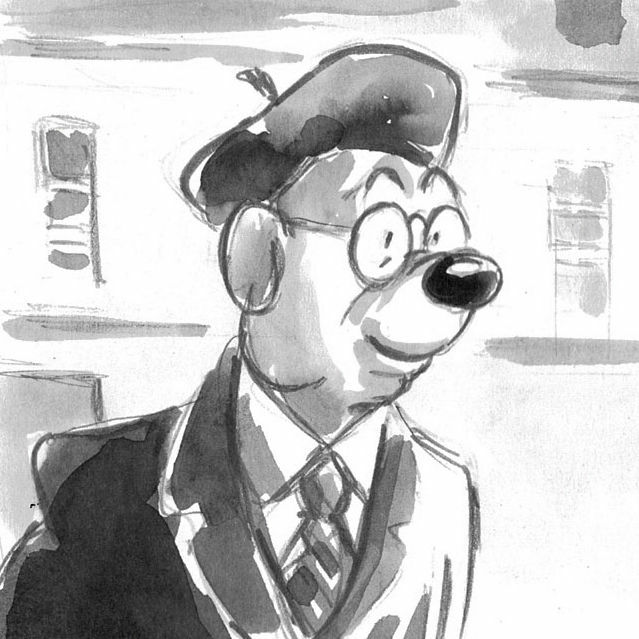 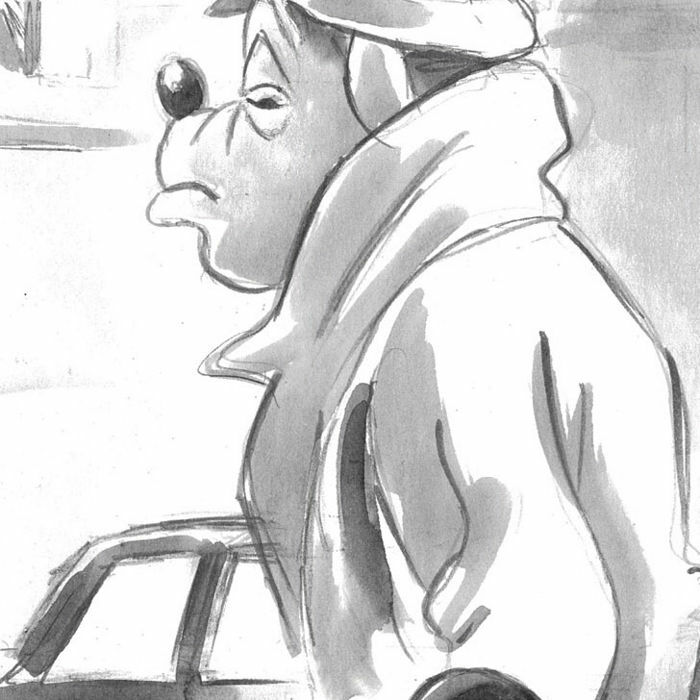 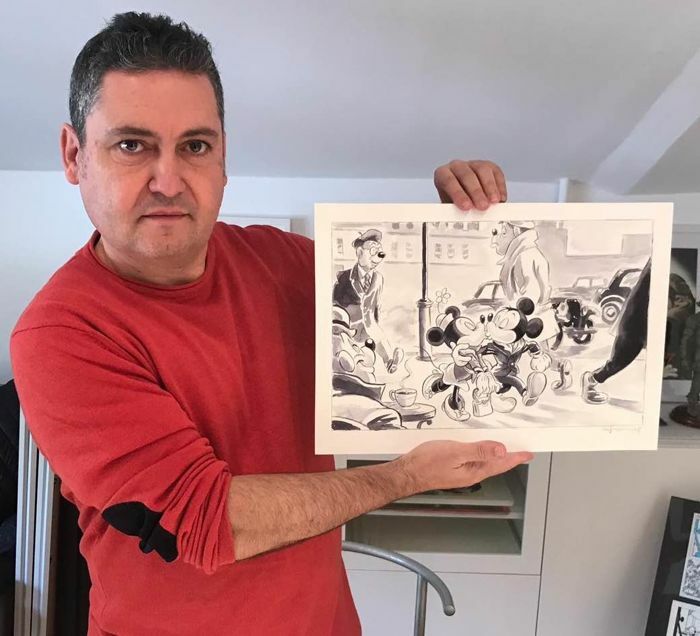 This exclusive drawing was created by Spanish artist Tony Fernandez, who has been working for Disney for more than 20 years around the world. 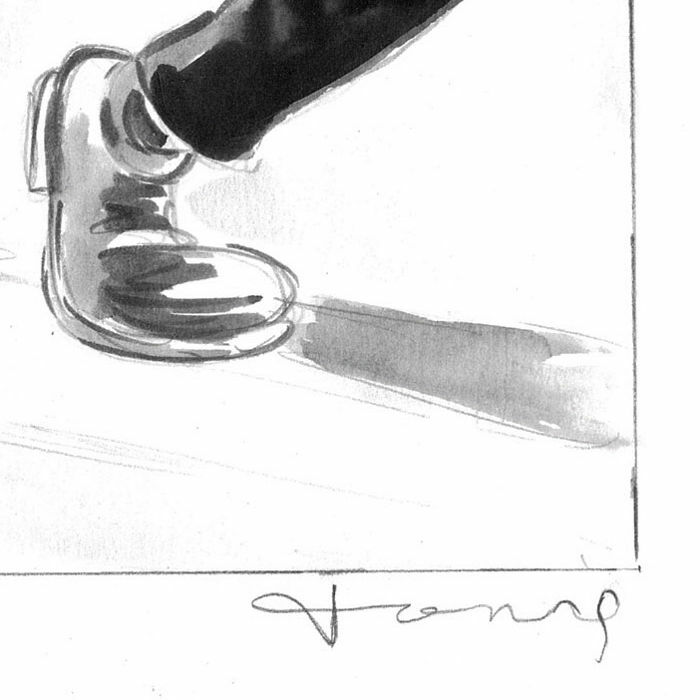 This grey-scale original creation comes from the artist personal collection and has been specially selected by him to be distributed.